Archie Maddocks is a young Londoner with fingers in so many pies texting must be a real issue. As a stand up comedian he has competed in the rib tickling Amused Moose Laugh Off. As a jobbing actor he has trodden the boards throughout the capital and still managed to squeeze in writing a piece for the Royal Court’s Lost in Theatre programme. 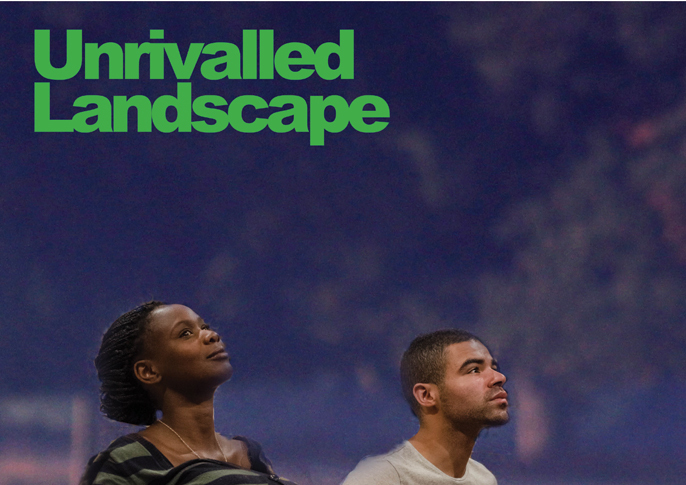 The most recent development in Maddock’s notably versatile career is Orange Tree Theatre’s new production Unrivalled Landscape. The play is a collaborative work between Maddocks and five other playwrights from the theatre’s Writer’s Group. Set in and around Richmond the play is unique in its multi person perspective and authorship. As we discuss the production, American race relations and social grievances I’m struck by the writer’s combination of upbeat humour and keen percipience. Describing writing as something he ‘couldn’t not do’ Maddock’s enthusiasm for telling stories and unassuming observations all suggest that this entertainer has a long career ahead of him. How have you found working with five other writers on Unrivalled Landscape? I found it interesting ’cos I’d never done anything like that and we had to play off each other with where we wanted the characters to go and how we wanted the journey to be. I had to write my scene so that it could continue on to be a bigger narrative which was very fulfilling ’cos I began to care about the character after I’d written about them. I came up with one of the characters; she’s called Kizzy and she’s a former Trinidadian gang leader. She saw her family slaughtered in front of her and she came to England to get away from the violence. She started to fall in love with the simplicity of the world and I felt an affinity with her because I created her and wanted her to do well. Seeing her appear later on in the play feels a bit like sending your baby off to college. Is escape an ongoing theme in the production? Unrivalled Landscape is six writers using one space and making a narrative that’s funny, heartbreaking and entertaining and it makes you think. There’s a theme of escape, of exile and self imposed exile but to an extent all the characters are searching for an escape from something. That could be from themselves, their past or from a regime or a possible future. They’re all trying to get towards something better. 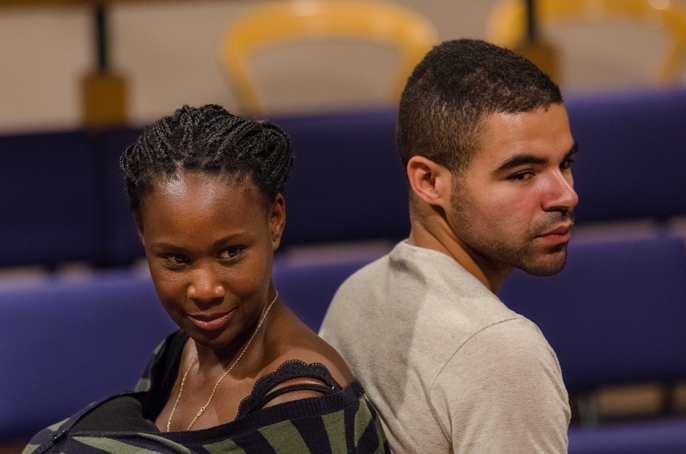 The play has been exclusively created by the Orange Tree Theatre Writer’s group. How did you get involved with the programme? What is the main difference between writing a short story and writing a play? For the first time I had to be aware of how it was gonna come across to people who were consuming it live as opposed to thinking it through in their own time. I’d done performance poetry before and that had given me an insight into how people respond to live performance. I like it because I love the immediacy of theatre. My goal has always been to be an actor in some capacity which I am doing at the moment along with stand up comedy but theatre has a uniqueness about it which I just love. What is most of your stand up material about? I’m still trying to nail down my persona as it’s called in the circuit (Laughs.) But at the moment it’s mostly observational and storytelling. My most popular set that I know gets a good reaction and I’ve won competitions with is about my experience of being in America. I was mixed race in England and then I was black in America and found that their society is a caste system as opposed to a class system. Did you encounter a stark racial divide in America? Definitely. Not so much in the East coast, but I spent a year in America as part of my degree and I noticed everything is racial. To a certain degree it does make sense ’cos theirs is a society borne out of extreme violence and racial prejudice. But ’cos they speak the same language as us and from American music and film it seems like our culture is similar I was surprised that the structure is so different. I found it difficult because although there is a racial element in England fundamentally people are able to mix. Having said that, there’s much more room for social mobility in America which I know sounds contradictory but it’s because it’s less class ingrained. They have the ‘Elusive American Dream’ ‘The Land of Opportunity’ and they try to conform to that as much as they can. 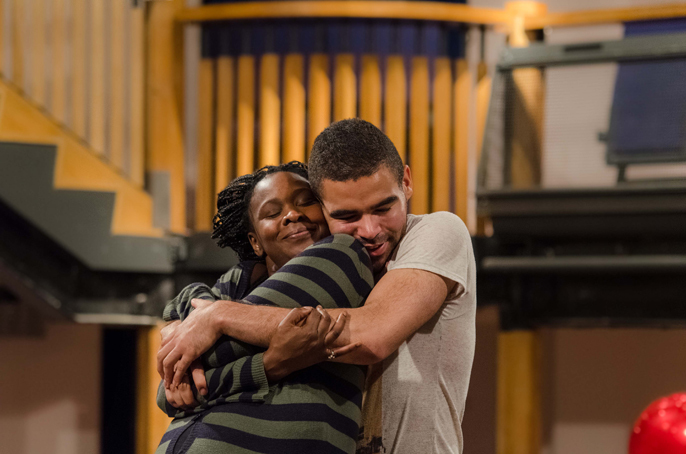 Your first play Mottled Lines was a response to the 2011 London riots. Why do you think caused the riots? In my mind the riots occurred because of a lack of communication between different people in society which then led to an evolution of fear. You begin to fear things you don’t understand and I felt that this influence and growth of fear in society had led to the riots. When people are scared their first impulse is to lash out. What do you think people were afraid of? I think people are scared of losing what they have or of never having something that they feel they should have. Mottled Lines looked at different archetypal figures in society. It looked at a stereotype hoodie figure, a policeman, a politician, a woman trapped in the system. A politician’s fear would be of losing that privilege at the top of the socio-economic ladder. Then you’ve got the fact that a lot of people who went out and rioted could be described as not having much of a stake in society; not having job opportunities, not much hope. If they have nothing and they see themselves next to people who have everything they feel like they should have the opportunity to get the same so they rebelled. Both of your parents are in the industry (Archie is son to Don Warrington and Mary Maddocks). Did growing up in an acting family influence your journey? I think both of them have had a massive influence and to an extent they have been inspiring. They both tried to put me off as any person in the creative industry will ’cos there’s no money in it basically (Laughs.) When I was growing up they both said “Why don’t you be a doctor or a lawyer?” But when it became clear that I wanted to do this they’ve both been very supportive and started to push me which is the best thing I could have hoped for. What’s been interesting is that writing has evolved from something else. I’ve always liked telling stories and seeing my parent’s work, which is essentially being the voice of a storyteller has always peaked an interest in me. Writing evolved into something that I couldn’t not do. I mean originally I wanted to be a wrestler and that didn’t work out so writing was the next step. (Laughs.) I enjoy making something from nothing and seeing the reaction from people. Basically I just want to entertain people and if I can do that through writing, comedy or acting I’ll do it as best I can. Why should people come and see Unrivalled Landscape? One: because it’s great. Two: because Unrivalled Landscape is a chance for the writers like myself and all the other writers to showcase their skills and it’s also a chance for people to see the new directors of the future. Three: It’s a good place to see something that you wouldn’t see anywhere else this summer. Six writers using one space and making a narrative that’s funny, heartbreaking and entertaining and it makes you think. 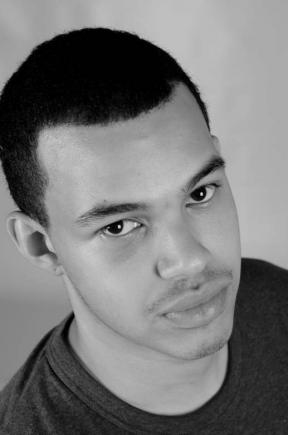 Follow Archie Maddocks on Twitter and keep up to date with his writing, stand up, poetry, acting or simply to appreciate this artist’s witty reflections.